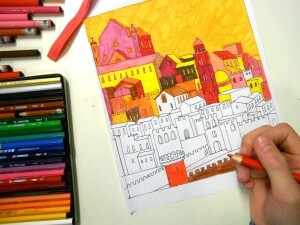 How changes the atmosphere of an ancient city if its colors are predominantly warm or cool? 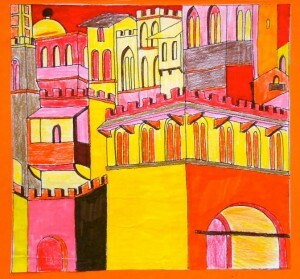 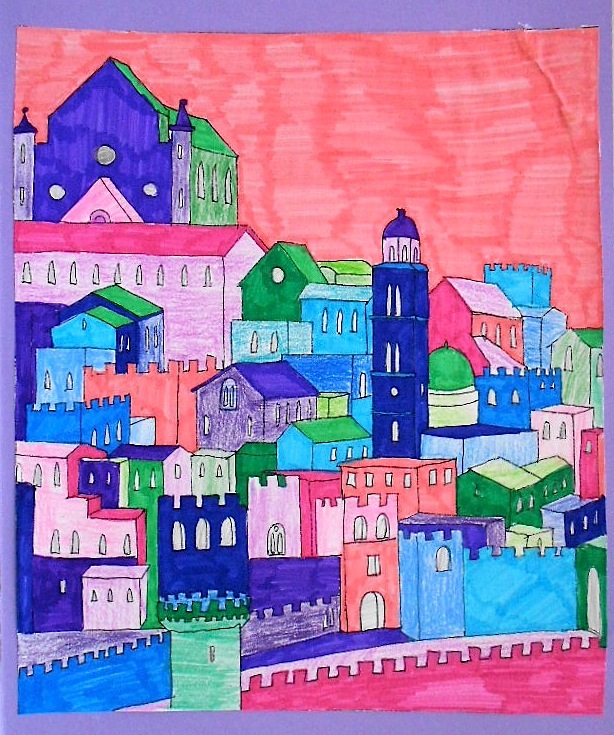 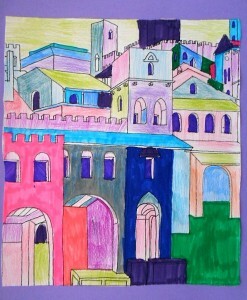 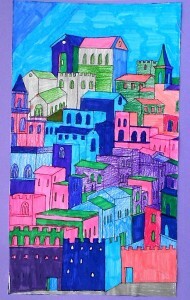 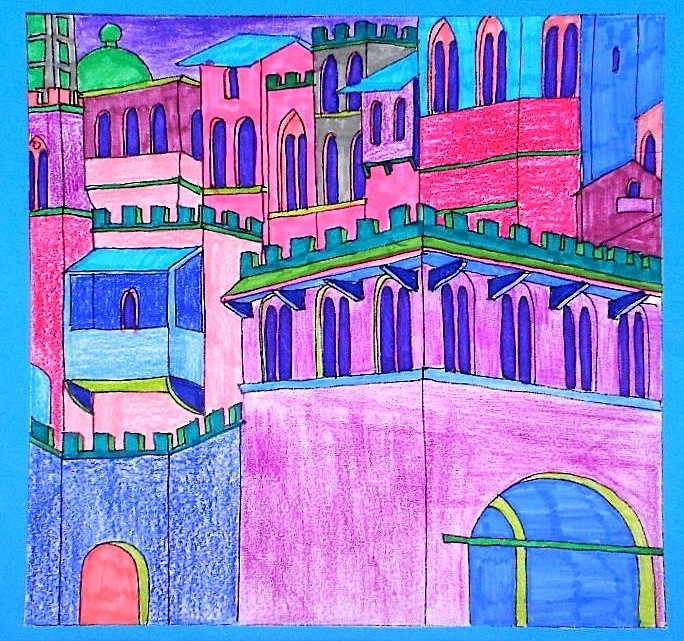 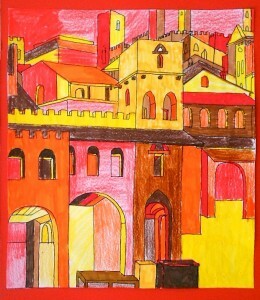 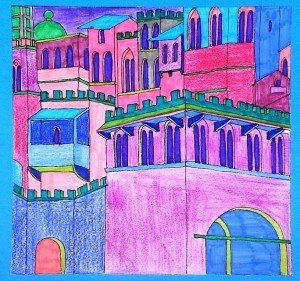 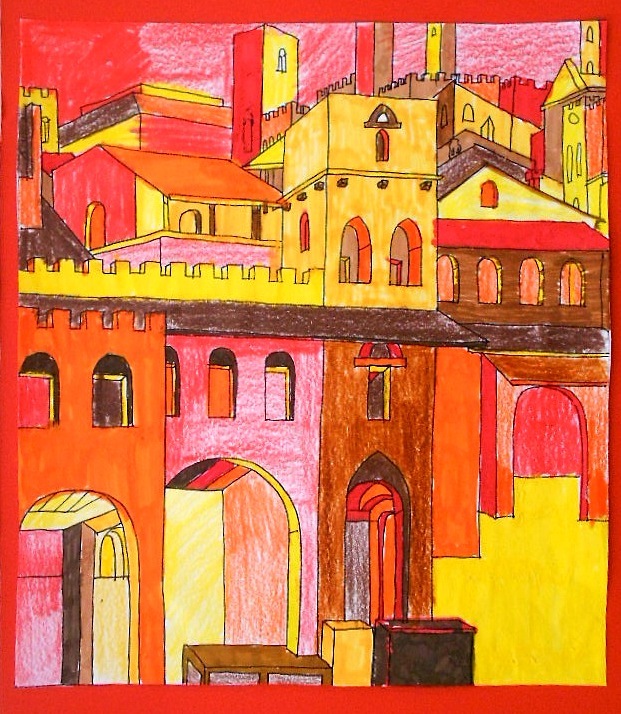 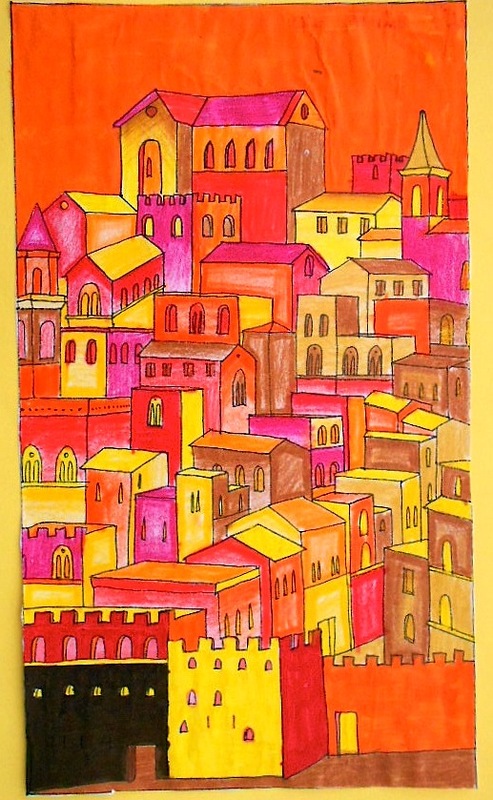 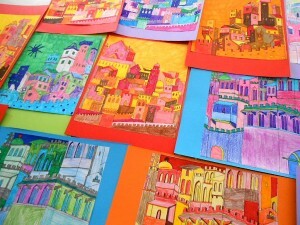 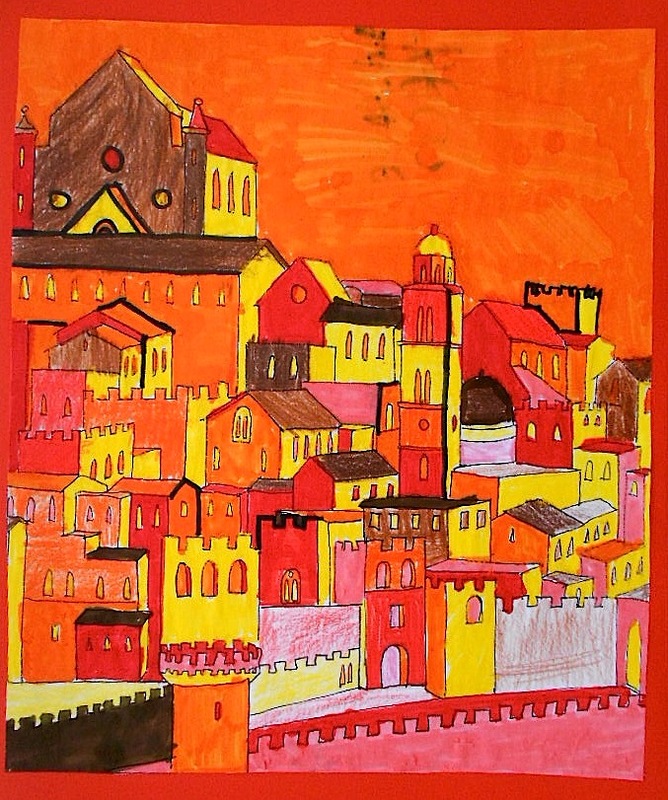 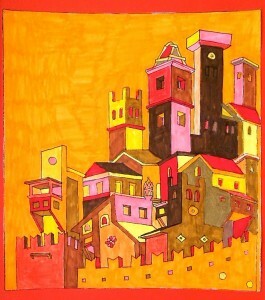 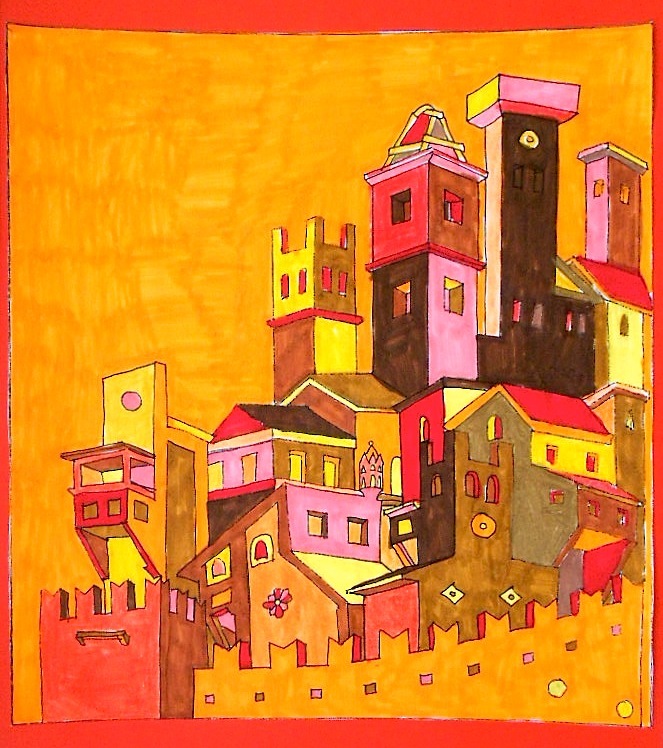 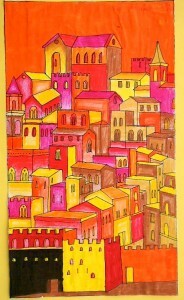 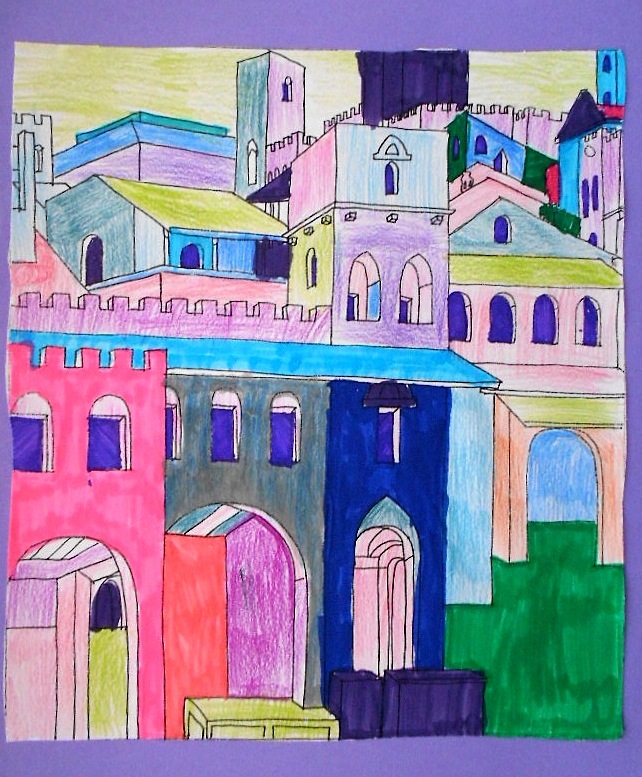 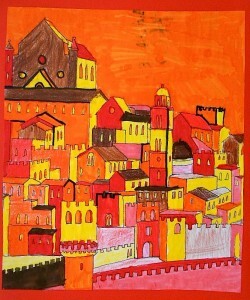 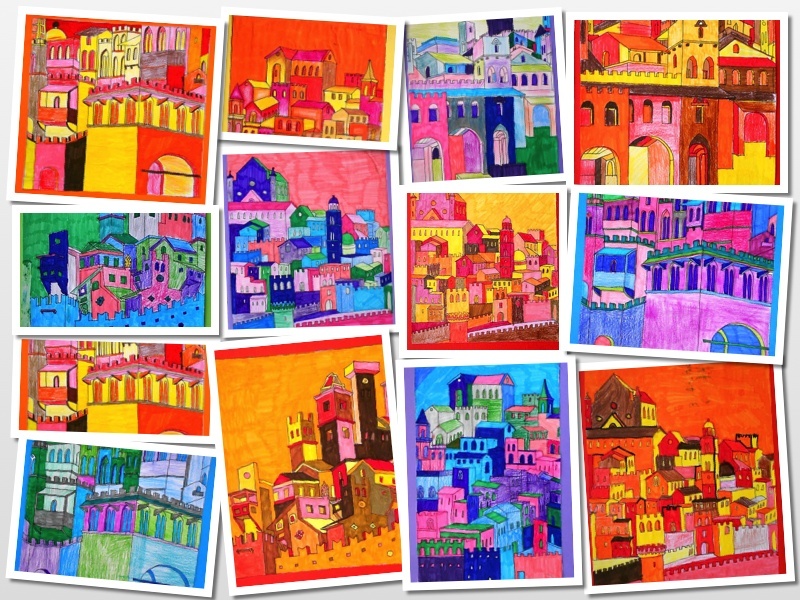 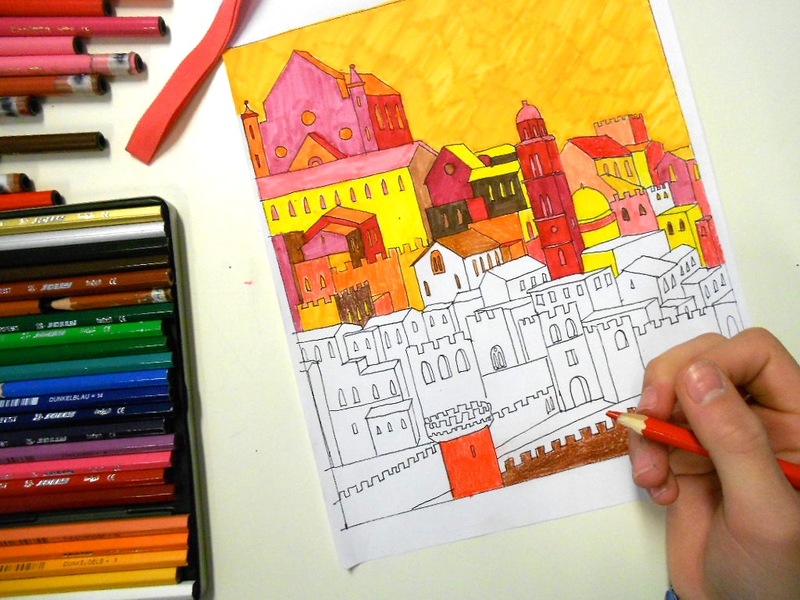 Here are the drawings of the students of grade 7: the walls and towers of medieval cities, which are inspired by paintings and frescoes of 1300, were colored with felt-tip pens and pencils, choosing warm or cool colors. 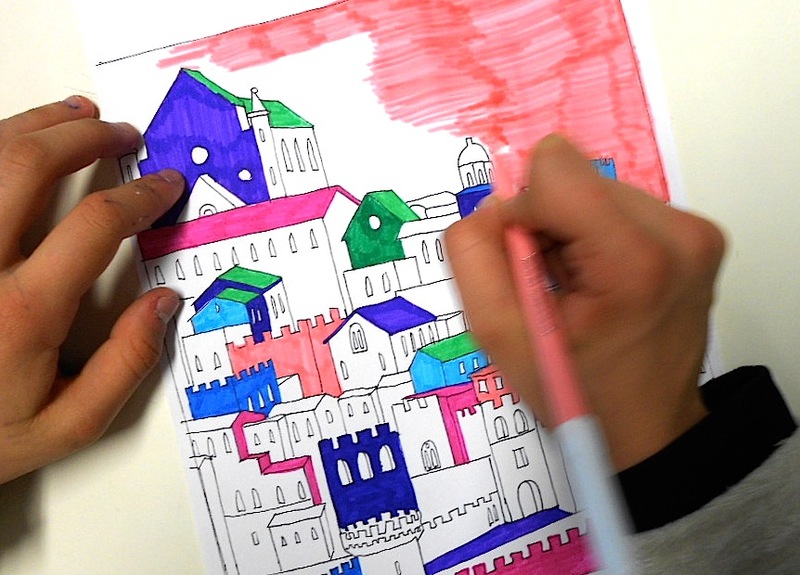 If you like to buy the 5 printable worksheets of Medieval Cities, you can fin the pdf file in our SHOP here. 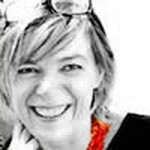 Your blog is really great. 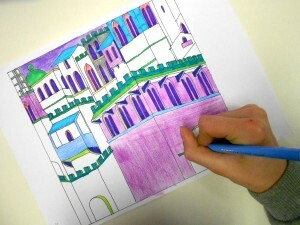 I already tried some of your ideas with my pupils.. Do you have the traced drawings or did they make them on their own? 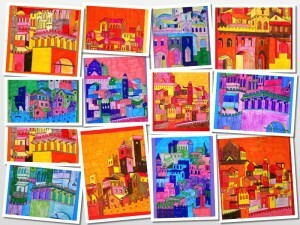 I think I saw the very first picture already somewhere?